What Exactly Is Electronic Security? These are often used in banks and offices to restrict access to certain areas for designated personnel only. They may be rooms which contain confidential information that is strictly off bounds for the majority of staff or other areas which contain sensitive data. They can only be entered by swiping a card through a reader which then opens the door. Closed circuit television cameras are widely used across all manner of industries to provide security and can be used internally and externally. Not only do they act as a deterrent to would be thieves and burglars, but in addition they give staff and homeowners more reassurance that they are safe on the premises. In the event of criminal activity occurring, footage from the CCTV video tapes can be used as evidence. A top quality CCTV camera also has night vision to enable 24 hour surveillance. This type of alarm can be used in many different areas and is usually placed at points deemed to be at threat of intrusion or theft. Should an automated alarm be set off then in most cases it links directly to a police station or security company who can then take the necessary action. 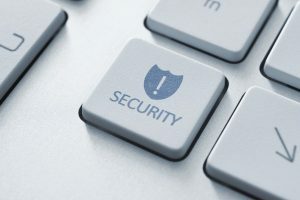 Electronic security typically involves some element of human involvement which is why most security companies also offer monitoring services. This usually means a security firm providing a 24 hour surveillance for your CCTV camera which can be on or off site. The surveillance can be carried out from the security company’s own control room or some customers prefer to install their own control room and have monitoring services on site. This type of service is highly efficient and much cheaper than employing full time security guards. Moreover it helps avoid risk to human life. A reputable security provider can conduct a thorough examination of the nature and location of premises and can offer advice as to the type of electronic security devices best suited to protect your property and where to place them. Other options such as night vision cameras, HD cameras, and recording footage all contribute to bettering the security system. If you need advice on electronic security for your home or business then please get in touch with MA Security Guards by calling us 03 9339 3500. Whatever your security needs we have a solution.